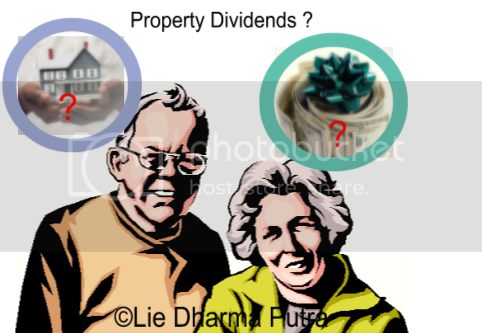 Property and Liquidating Dividends are another two items which are also included on the “Retained Earning” Accounts. On this post I am going to give some case examples with Journal/entries needed for each. Sometimes a corporation may not wish to issue a dividend in cash because it needs the cash in the business. Instead, it may issue a dividend in the form of property (usually shares of stock it owns in other corporations). According to APB Opinion No. 29, a journal entry must first be made to raise or lower the property on the books to its fair market value. Fair market value can be determined by reference to quoted market prices or by independent appraisals. On June 1, A Company declares a property dividend to be paid from its portfolio of 5,000 shares of B Company stock. On its books, these shares were recorded at their cost of $10,000. However, today their fair market value is $11,000. If the fair market value had been less than the book value, a loss, rather than a gain, would have been recognized. If a corporation wishes to pay a cash dividend but has no cash at the moment, it may issue a special type of note payable to the stockholders promising to pay later. This is called “scrip“. If the scrip pays interest, the interest portion of the payment should be debited to Interest Expense and not be treated as part of the dividend. The interest period runs from the date of record to the date of payment. On January 1, a corporation declares a scrip dividend of $300,000 payable on June 1 to stockholders of record on April 1. The scrip pays interest at 10%. The interest computation is: 300,000 × 0.10 × 2/12 = 5,000. The interest period is from the date of record to the date of payment—2 months. As stated earlier, most dividends are paid out of retained earnings and are simply distributions to the stockholders of the corporate earnings. Sometimes, however, a dividend may be paid out of contributed capital instead. These dividends are called “liquidating dividends” and represent a reduction of the corporate paid-in capital. This information must be disclosed in the footnotes to the financial statements.